Just last month Hypixel Studios, the company behind the Hipixel Minecraft server, announced their very first game called Hytale. Along with the announcement, they released a reveal trailer that has seen massive success already. If you haven’t heard much about the game, it’s a sandbox role-playing game influenced by the box style graphics of Minecraft. What’s crazy though is that in less than one month, the trailer for Hytale has amassed over 31 million views on YouTube. Just to put that into perspective, Fortnite’s Season 5 Trailer, the most watched video gaming trailer in 2018, earned a whopping 48 million views in 6 months and the Red Dead Redemption 2 announcement trailer has earned 17 million views in over 2 years. Now this very first video from the small studio has already earned over half the amount of the Fortnite video in a fraction of the time and that’s pretty insane. You can check the video that’s getting all the attention below. 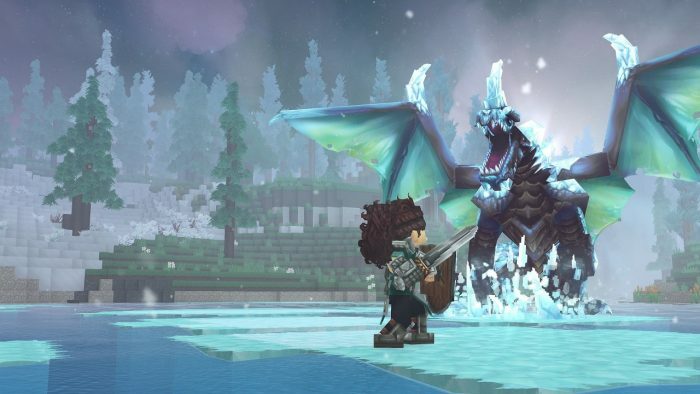 If the views are anything to go by, Hytale is looking like it might be a serious Minecraft competitor, especially if it continues to gain traction in the industry. Given that Minecraft is one of the best-selling video games of all time, only time will tell just how well Hytale will do once released on PC. As it stands right now though, there is no release date set, nor has the team decided whether this will be free-to-play. You can check out the official website for all the current known details. Are you one of these 31 million views? What do you think about what you’ve seen of Hytale so far? Let us know your thoughts in the comments below and don’t forget to keep it locked for updates!